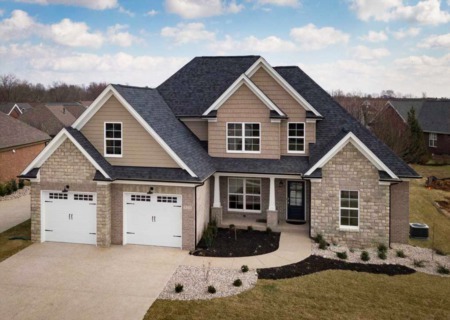 Gorgeous brick/stone 1.5-story walkout home with 4 bedroom, 3.5 baths and over 3300 square feet of living. High-end finishes such as hardwood, ceramic tile, detailed trim work, granite counters and more. The eat-in kitchen is any chef's dream... with custom cabinetry and a center island with seating - all adjacent to the great room with cozy fireplace. The mudroom with cubbies and laundry room is conveniently located off the 2 -car garage. The owners suite features a soaking tub, separate shower, double bowl vanity and a large walk-in closet. Two additional bedrooms and a shared bath finish the upper level. The finished walk-out lower level offers a rec room, bath and bedroom with egress window. Two HVAC are an added bonus. SchoolsClick map icons below to view information for schools near 5328 Rock Ridge Dr Louisville, KY 40241. Real estate listing at 5328 Rock Ridge Dr Louisville, KY 40241. 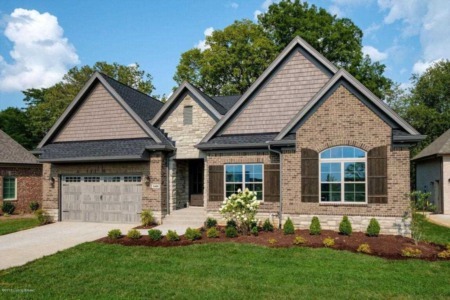 Description: The real estate listing at 5328 Rock Ridge Dr Louisville, KY 40241 with the MLS# 1523236 is currently listed for $550,000 and has been on the Louisville market for 88 days. You are viewing the GLAR MLS property details of the real estate listing at 5328 Rock Ridge Dr Louisville, KY 40241, which is located in the Rock Springs neighborhood, includes 4 bedrooms and 4 bathrooms, and has approximately 3380 sq.ft. of living area.